Scroll through Instagram for a minute, and you’re bound to see one of those pretty blue jars sitting next to an amazing looking smoothie. Vital Proteins collagen supplements are EVERYWHERE - and it seems like everyone loves it. But what really is collagen? Do we really need to supplement it? Does taking it live up to the hype? Collagen is the “glue” that holds the body together - its the most abundant protein in the body, and it helps make up your muscles, bones, skin, joints, tendons, and blood vessels. It's the protein that makes your skin elastic, replaces dead skin cells, and creates functioning joints and tendons. WHY DO WE NEED TO SUPPLEMENT IT? Although most of the body is made up of collagen, we actually significantly slow down in collagen production as we age. After age 20 or so, we lose about 1% of our collagen every year. In addition, lifestyle stressors such as diets high in sugar, sun and pollutant exposure, or smoking can deplete collagen stores. Hence - aging. Looser skin, joint pain, weaker bones, etc. All not fun stuff. So this flavorless, versatile supplement can help with ALL of those things?? Um, yea, we’re listening. True. Collagen supplements are typically sourced from bovine hide. Vital Proteins, in particular, makes sure to use pasture raised, grass fed animals that are not hormone treated for dairy production. VP also makes a marine collagen supplement sourced from non-GMO wild caught snapper. We’re here to inform, not to tell you what to do (except to eat more plants - we’ll tell you that, regardless of your diet of choice!). Do we see the benefits of supplementing collagen? Absolutely. Are we going to tell you to take it if you are morally opposed to it? Absolutely not. Everyone is different. Collagen is found in a ton of beauty products - but get this: collagen molecules are actually too large to be absorbed by the skin. So if we want to supplement it, we really need to supplement internally. Vital Proteins collagen peptides are PERFECT for this. They are odorless, tasteless, and dissolve in both hot and cold liquids. This means you can drop a scoop in your tea, water, juice, or smoothie - and it works perfectly in all of them. You can also add it to your favorite recipes, like baked goods, salad dressings, WHATEVER - and they are totally undetectable. My favorite? Adding a scoop to my morning smoothie - its super simple and makes your blend wonderfully creamy and thick, without changing the flavor AT ALL. In addition to adding a collagen supplement to your diet, you can prevent natural loss of collagen by limiting sun exposure, eating a nutritious diet high in Vitamin C and Omega 3s and low in added sugars, and exfoliating regularly to ensure healthy skin renewal. 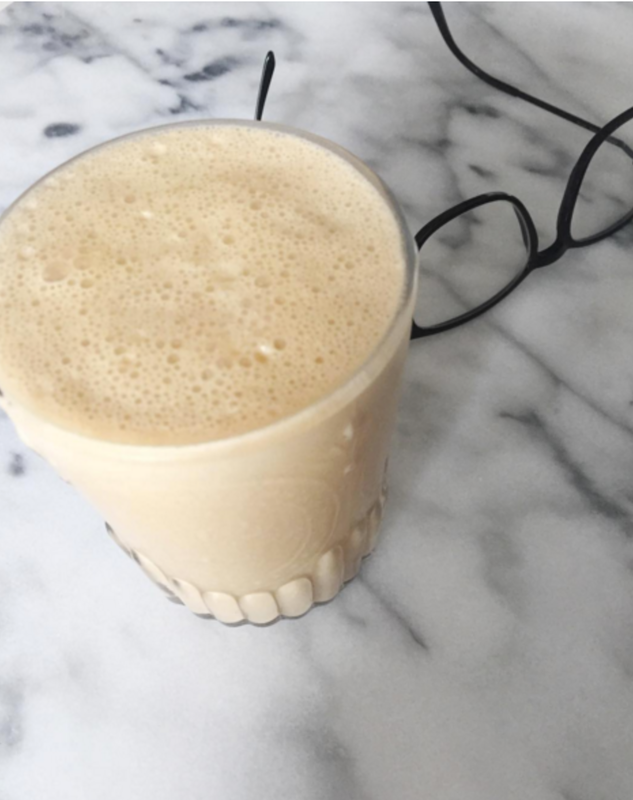 It's part smoothie, part cup of coffee, part supplement... total win. It's an amazing new take on your morning coffee routine. Want to learn more? Vital Proteins will be at the GOOD Fest answering all your pressing collagen questions and sampling their goods (including their new line - give us all the lavender lemon beauty water, please! ).